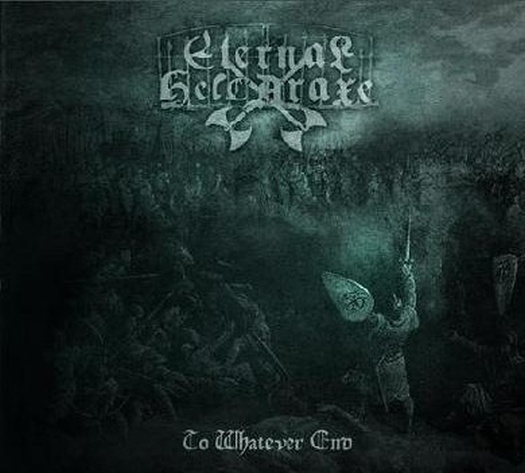 To Whatever End from Irish band Eternal Helcaraxe is epic black metal. Helcaraxe is a location from Tolkien's Silmarillion and is described as place of vast fogs, mists of deathly cold, and sea-streams filled with clashing hills of ice. But instead of sounding all bleak and bitter, To Whatever End has a more of a pagan vibe. It's an album of soaring black metal anthems, where subtle keyboards, acoustic guitars, and the occasional clean vocals create variety and elevates the mood. Here's a review from No Clean Singing.